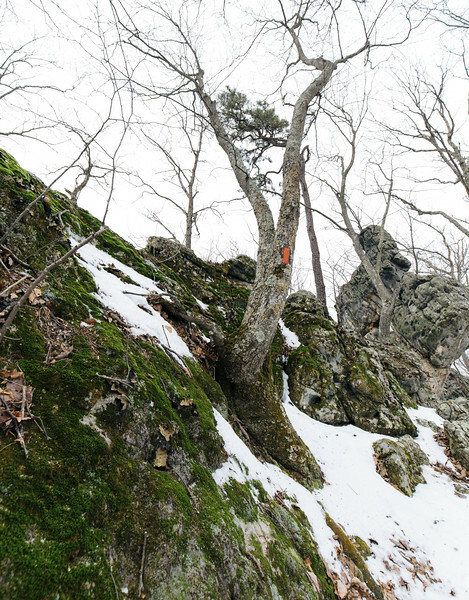 In this hike I encounter rocks of interesting forms, snowy terrain, some moss, and even a bit of ice –> Sounds Fun? –> Continue to Read! On the afternoon of January 12, 2019, air temp was around 27 Fahrenheit, no wind, and pretty dry day. 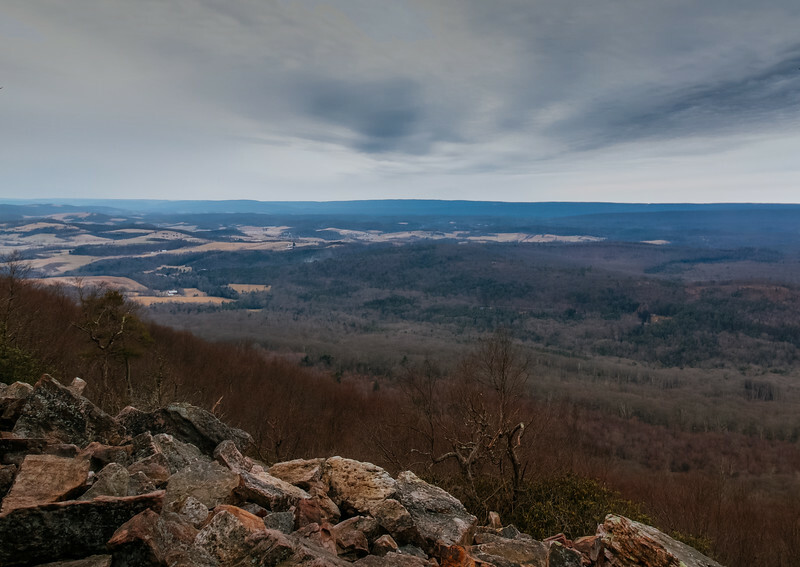 I have figured it would be a good day for a roughly 4 mile hike in the area of Rothrock State Forest I did not visit before. In the area of Greenwood Furnace State Park, one can take a bit of Standing Stone Trail, gradually climbing onto Stone Mountain, then take Turkey trail to descend the mountain and finally take Lorence and Monsell trails back to the parking lot, and that what I did – If you care to know how it was – Read Ahead !